Monday 22nd - Thursday 25th July 2019 - LONDON. ​A Jazz-tastic Experience for the Serious Dancer! BOP Jazz intensive participants 2018 - working through an all inclusive BOP Jazz dance Across Floor exercise to develop the dancers Jazz dance technique and aesthetic skills. Now in the 8th year, BOP will again present their highly rewarding and exciting Jazz Dance Theatre Summer Program. This year 2019, BOP will be presenting a 4-DAY Summer Jazz Intensive. An exciting and unique Creative Jazz Dance Program that offers all participants a chance to grow, be enlightened and work intensively with the BOP Artistic Directors and Jazz artists Dollie Henry (Choreographer/Creative Director) and Paul Jenkins (Composer/Music Producer). 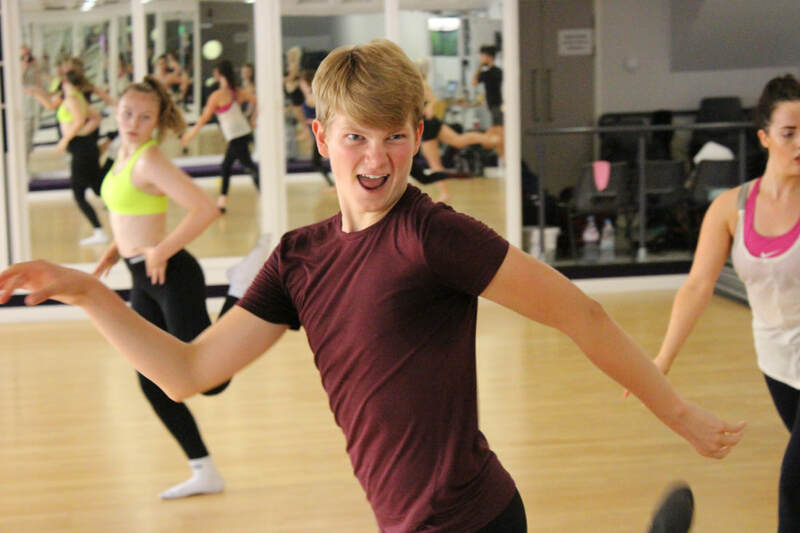 Ignite your inner passion for JAZZ Dance Theatre and further develop your jazz dance technique, skills and performance ability whilst exploring and finding your true potential as a Jazz artist and dancer in a highly energised and nurturing environment, that is the BOP Family. The BOP Jazz Summer Intensive Program, takes place in the heart of London at our Company Resident Studios located at Morley College. The BOP Jazz Programs bring together dancers from all over the globe to share in the BOP Jazz community, building life-changing friendships, creative connections and experiences. The BOP Mission is to share and pass on the artistic and creative aesthetic of the jazz dance art form, bringing a realistic and relevant appreciation and exploration of the many Jazz dance styles and techniques that are at the heart of the Jazz dance genre. Participating Dancers will be taken on the journey of the daily routine and process of a professional Jazz dance company. Over the 4 days, dance participants will be introduced to the BOP jazz warm-up, jazz dance techniques and styles, Jazz dance improvisation, performance techniques and jazz music appreciation. Each Day a new piece of Jazz theatre choreography and sections of BOP Repertoire will be the creative focus allowing each individual dancer to be part of the choreographic process and provide an organic space for each dancer to put into practice the performance skills learnt. This is an inspiring and enlightening opportunity for any dancer looking to find your Jazz dance feet within the artistic and creative home of the BOP Company. Morley College is a recognised arts college in the heart of London that provides excellent adult education in many creatives areas. Morley enjoys a distinguished history dating back to the late 1800s. The College was rebuilt and officially opened by Queen Elizabeth, the Queen Mother in 1958. In 2012, BOP became Morley’s first artistic Company in Residence, providing BOP with a base to call home and creative rehearsal space to work from. BOP has presented many Jazz dance initiatives at Morley including open BOP jazz classes, workshops, residencies and theatre performances in the Emma Cons Hall situated at the venue. ​PLEASE NOTE: BOP do not provide accommodation as part of this program. Part of the BOP Philosophy and ethos is aimed at supporting and offering special training opportunities to the next generation of young dancers. As in previous years BOP has sponsored many young dancers from all over the world to take part in the BOP Jazz Creative Programs. Next year 2019 will be no different, BOP looks forward to offering Scholarship places to deserving young dancers that catch the eye of Dollie on her international & UK travels in her role of Jazz Practitioner and Dance Judge. Past Scholarship dancers have hailed from all over the globe, including the UK, Ireland, Italy, Austria, France, Spain, Nigeria and South Africa.